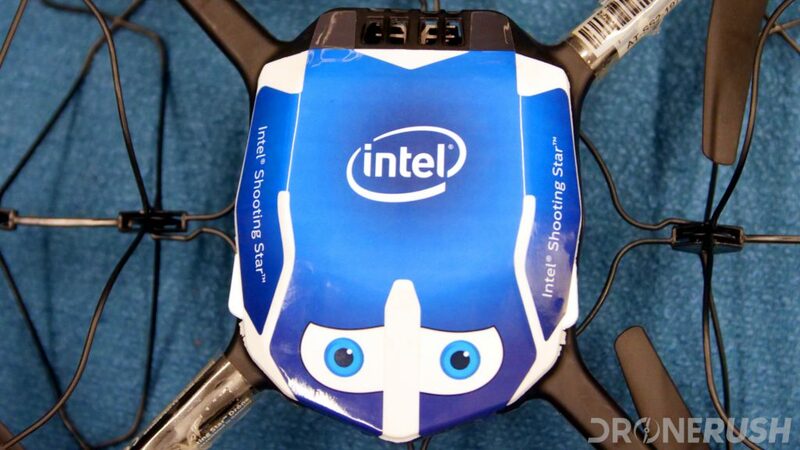 Intel’s drone group started a few years ago to address various sectors in the drone market. Intel has been creating drones for entertainment and in many commercial areas since. Intel’s drone group GM, Anil Nanduri, is now a member of the NASA Advisory Council Aeronautics Committee. Let’s discuss Anil, his past and what he will be doing now that he is a member of the NASA Advisory Council Aeronautics Committee. The news didn’t come as much of a shock to us, as Anil has previously worked closely with the FAA and its UAS Aviation Rulemaking Committee. He helped develop new drone laws and regulations to allow for drones to be seamlessly integrated into the skies. Intel is extremely active in the commercial drone space, they are creating drones for entertainment, construction, oil and gas and many more cases. The firework replacement drone, Shooting Star, is a more notable drone that has stunned the world since 2015. Now that Anil Nanduri has been appointed, he will advise the NASA Advisory Council on strategic plans, programs, and policies. This council will work on commercial air transportation, advanced air vehicles, aviation safety, and air transportation system technology research, development, and demonstration. The NASA Advisory Council Aeronautics Committee is made up of John Borghese (chair), Eric Allison, John-Paul Clarke, J. Scott Drennan, Michael S. Francis, Greg Hyslop, Anil V. Nanduri, Tom I-P. Shih and Karen Thole. All of these members will work toward a great future for drones, ensuring safety as more and more flying machines take over our skies. Are you curious about other drones produced by Intel? We have to admit, is is the way Intel is using drones, the business they have created using these machines, that really sets Intel apart. Advanced mapping and survey services, entertainment and more are just the beginning. We suggest you check out some of our other Intel drone content, which can be found below. Anil Nanduri’s appointment to the NASA Advisory Council Aeronautics Committee is not much of a surprise to us. His vast knowledge and involvement in drones have proven his worth to NASA. Do you think NASA is making the right decision by placing Intel’s Drone GM into the NASA Advisory Council Aeronautics Committee? Share your thoughts in the comments below or head over to our social media accounts.